Mehndi is an art from Ancient India. 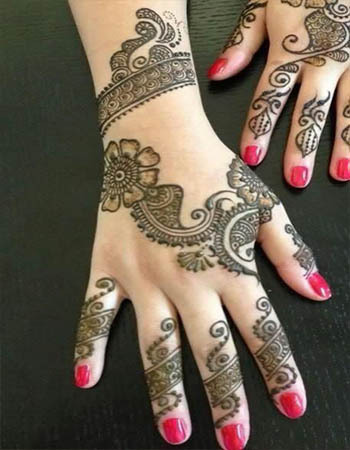 By using Mehndi beautiful and best henna designs created on hands, feet, and body. 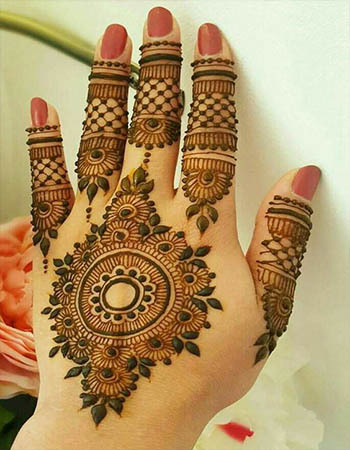 Initially, the henna (Mehndi) was produced from the dry leaves powder of henna plant called Lawsonia inermis. 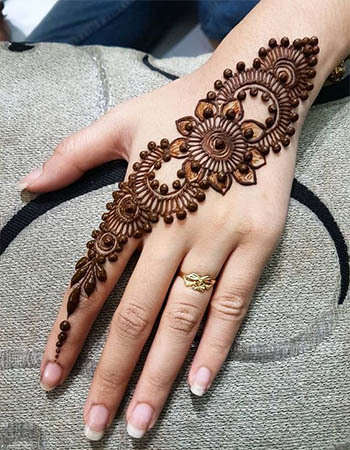 Best henna designs are trendy among girls of India, Pakistan, Africa and the middle east. 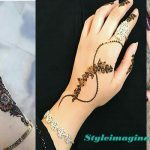 Henna designs applied on hands especially Muslim girls apply designs on front and back hands-on Eid-ul-Fitr and Eid-ul-Adha. 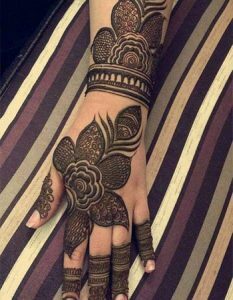 Eid Mehndi Design for Girls are very popular in pakistan. Similarly, Hindu girls applied mehndi on Karva Chauth, Vat Purnima, Diwali, Bhai Dooj and Teej. Hindu festival women apply mehndi on front and back hands-on feet and some time on shoulders too. Hindu celebrate mehndi festival and family member apply mehndi on men hands and feet. 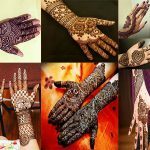 On wedding asian girls also applied mehndi designs to their hands and feet. Some cancer patients, especially women, decorate their scalps. 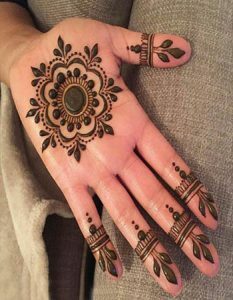 There is various type of best henna designs like Arabic mehndi design, Indian mehndi designs, Pakistani mehndi designs, etc. 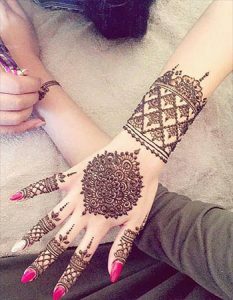 as the time has advances ladies mostly use henna cones instead of henna leave powder due to the limited supply of traditional mehndi artist. Henna cones are ready to use and very easy to apply on the body. However, in rural areas, some conventional women still use henna leaves powder. They grind fresh henna leaves on grinding stones with added oil. 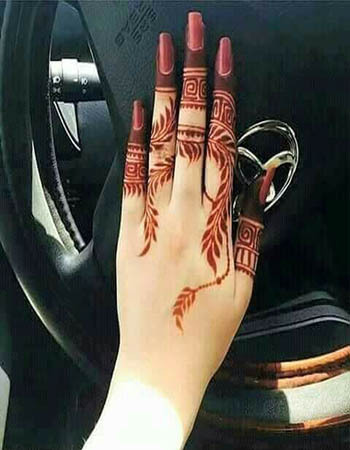 It gives the new color of mehndi. 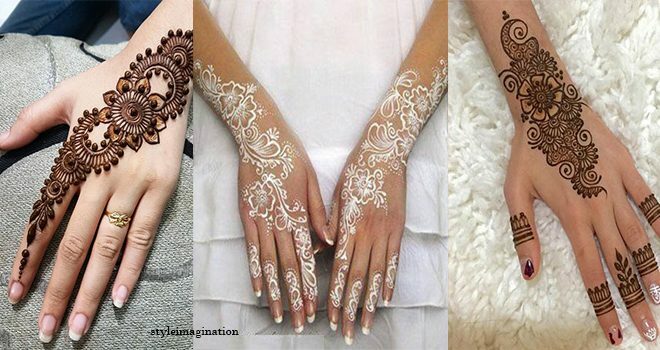 In western countries henna trend is going viral they use mehndi to made tattoo on the body. 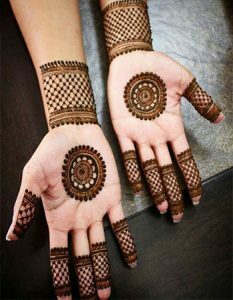 Henna tattoo is symbolic because the right symbol is permanents while the henna tattoo is pigment resting on the surface. In northeast India, Mehndi used by unmarried women during rangoli bihu. In the middle east and Africa, women apply mehndi on fingernails, toenails, and hairs. 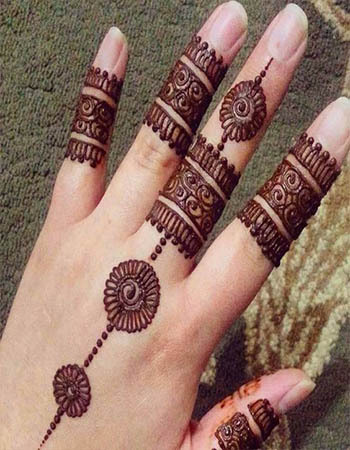 The standards color of henna is brownish red. 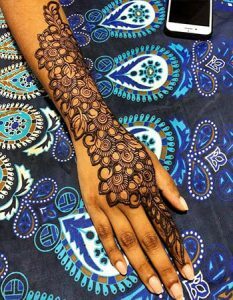 But now in mehndi adding chemical dye p-Phenylenediamine henna give black color which usually use for the Tatoo. 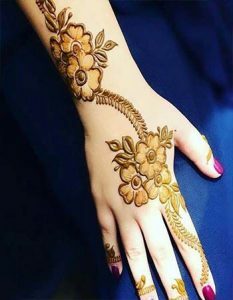 Also, the white color of mehndi is trendy in 2018 among celebrities. 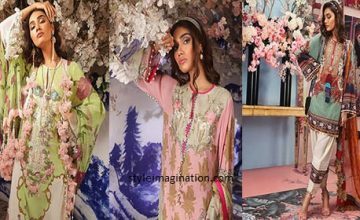 Mahira Khan starts white mehndi trend in Pakistan. 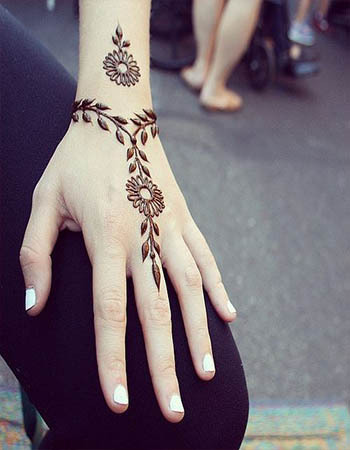 In temporary body art, White henna tattoos are the latest trend. 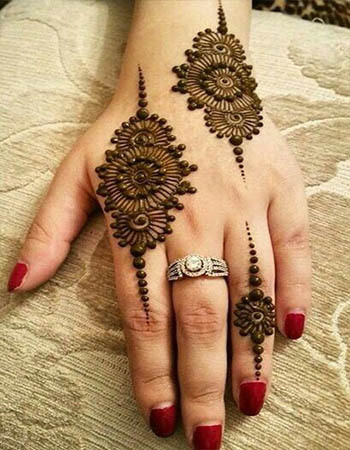 The white mehndi trend began in the middle east. they use white henna instead of standard brown mehndi color. 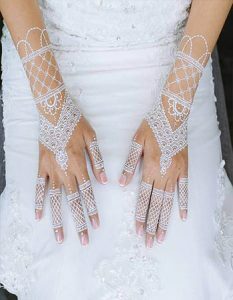 I am personally obsessed with the white henna trend; it is super pretty. 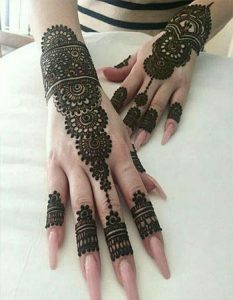 Some ladies are allergies of cone mehndi and can’t able to apply henna on hands and feet. White mehndi is the best option of those ladies who has an allergy. White mehndi is very trendy in these days particular in India and Pakistan. 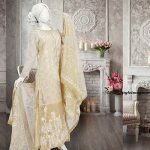 Arab women use white mehndi on their weddings match with the white dress. 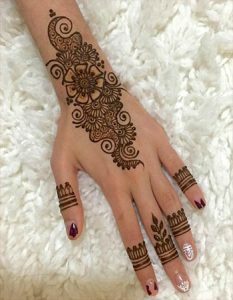 If white mehndi is not available in your area, you can take any white paint and apply it with a brush and paint best henna designs. 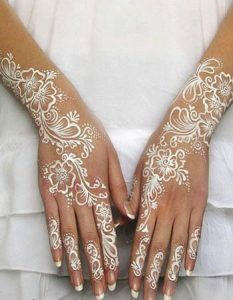 You can also use shimmer and apply it between white henna designs; it will make it prominent and beautiful. Make sure that you are not using acrylic or other craft paints. It must be safe body paint. 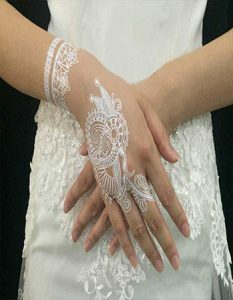 White henna can also make at home by using mica tattoo and glitter. You can also make white henna cones for this use bulb pipette to fill your cones with paint and then tape the open end of cones securely. Use this white cone to make attractive white henna designs on your hands, feet and body. Pros Aids cream or liquid and white mica powder can also used for making white mehndi paste. If you don’t have white mica powder, you can also apply white eyeshadow. Pros Aids liquid will make flat and best henna designs. 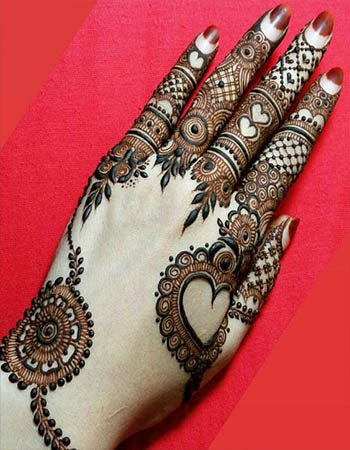 Mehndi was used since the 700 AD for decorating hands, feet and fingernail and toenails. 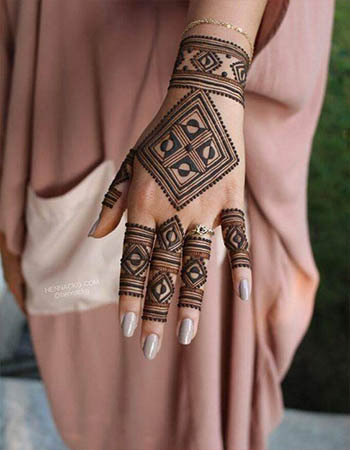 Henna originated in Egypt, and since 700 AD it was regularly carried to India. There is evidence that Egyptian ladies are using henna leave powder. In Egyptian mummies, their hairs and nails stained with reddish brown tones of henna. Historically henna powder has also been used to dye cloth and leather as well. It also used to color manes of horses and fur of sheep and other animals. After the India Pakistan separation, the same ritual was accompanied as it were in India. Mehndi popularized in the west by Indian cinema and entertainment industry. 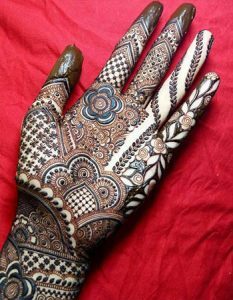 Now Mehndi is very popular in Bangladesh, Nepal and the Maldives. 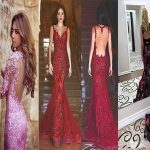 In late 1990s mehndi decoration become fashion un the west. 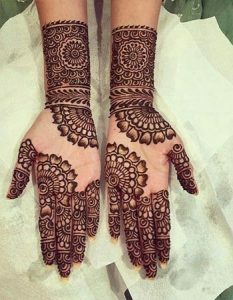 Mehndi derived from the Sanskrit word mendhika. In earliest Hindu Vedic ritual book the word mehndi is described. It used for the women at, but as the time passes, it becomes more common for men to wear it. In Hindus tradition, there are many pre-wedding, wedding and post-wedding ceremonies. Among this ritual, a few days before the wedding bride and groom attend the event together. On this occasion, a professional artist applies mehndi to bride hands and feet. The groom name hidden within the mehndi pattern, And groom has to find his name from mehndi pattern. And in Pakistan, the mehndi ceremony called as Rasm e Heena. It’s a pre-wedding function which celebrated by the bride and groom families. 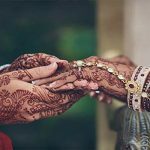 Bride family and groom family celebrate mehndi ceremony separately. Henna leave paste applied on the hands and feet using cone, brush, and stick. After half an hour the paste that applied on hands and feet will dry and begin to crack. You can wash your hands when its start to crack. 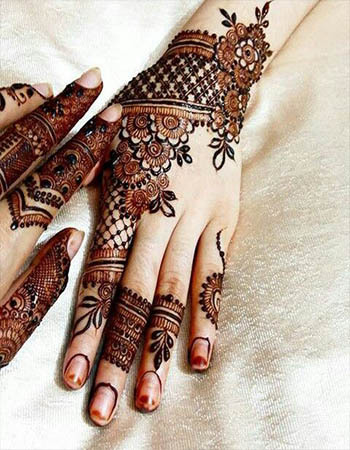 If you want the darker color of mehndi, you can apply white sugar or oil over henna design. 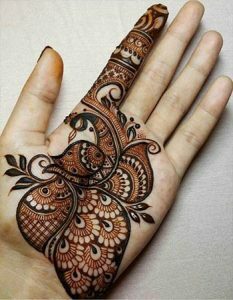 It will remoisten the henna design and henna will stain darker in color. This darker color remains one to three weeks depending on the quality of the henna paste. To apply Oil on mehndi mud, you can use the natural oil, olive oil, sesame seed oil, coconut oil. Use one from this oil. People performing traditional work, such as working in fields, traditionally used henna because they considered that it would help to strengthen the hands and feet. 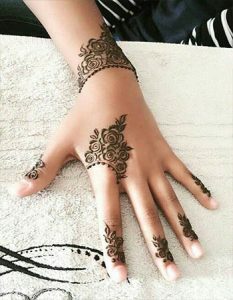 Other faiths attached to henna use is that it can support a plentiful harvest, ensure adequate rains, help to stop barrenness and make pregnancy more comfortable, ward of sickness and distress, help families to make a living, and promote cooperative relationships. 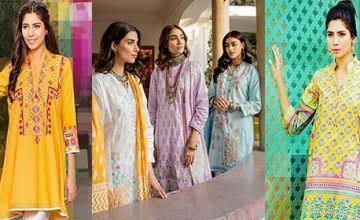 Junaid Jamshed Eid Collection – J.